खबर लहरिया » Now Rear Baby Chickens for a Livelihood! Now Rear Baby Chickens for a Livelihood! Ranipur, Sakraunha, Cheriha khurd and Jarvah villages, Manikpur block, Chitrakoot District. In these villages, on 14 January 2014, those families on the BPL (below poverty line) lists were given 50 chicks to raise, as a form of livelihood. Dashodiya from Ranipur village and Kunti from Cheriha khurd, and 10 others, who had also received the chicks, said this was a very positive initiative by the government. 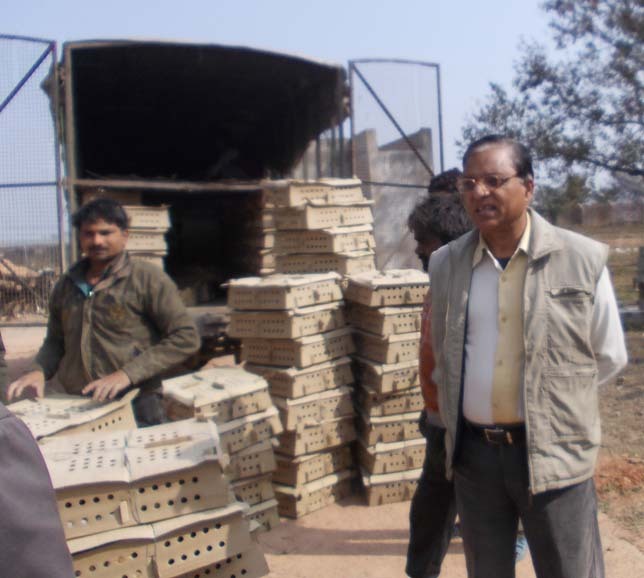 The chicks grow up and can be sold for up to 1000 rupees for a pair. This is a very good form of livelihood and can be used to run our households.